As music tastes broaden and cultures continue to merge under the melodic celebration of love, Nigeria has led the world to see the light that is Afropop. Roc Nation’s Casanova seems to be the latest convert, shooting the music video for his new “2AM” single in Lagos, Nigeria. Though Casanova’s mood on “2AM” is romantic, writing bars for a love interest with some melodic help from Tory Lanez and a proper Afropop verse from Davido, the music video focuses on the rapper’s gritty persona. 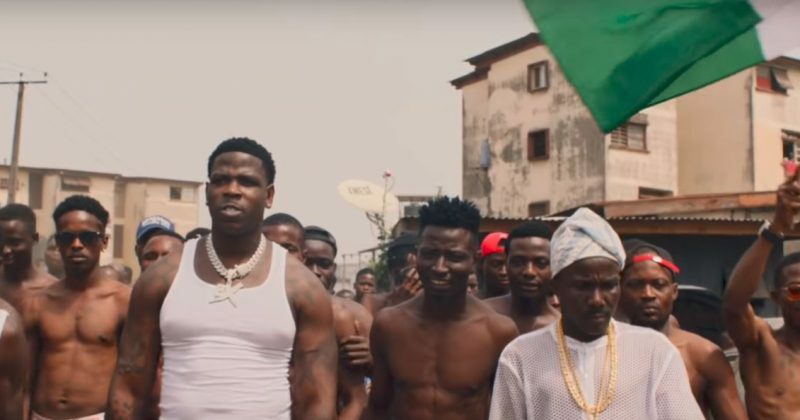 Meji Alabi directs the music video following Casanova’s gangster deals from a restaurant serving Jollof rice in America to the grimy streets of Shitta in Lagos. The video also features cuts from a party scene where he’s joined by Tory Lanez and Davido while dancers show off some Nigerian dance styles. You can watch the music video for “2AM” below.